Windows 10 has a new sign in screen that is more modern and touch friendly. By default, you need to dismiss the lock screen and enter your credentials on the Sign-in screen to sign in to Windows 10 with your account. This tutorial will show you how to change the sign-in screen background image for all users in Windows 10. You must be signed in as an administrator to be able to change the sign-in screen background image. Previously on PC, there were two separate backgrounds for the Lock screen and then the logon screen. Starting in Windows 10 build 14279, Microsoft is merging the experience so there is just a single background – your Lock screen background. This is similar to the behavior seen on mobile. If you have a custom Lock screen background set, you will see your Lock screen background is now used for both the Lock screen and logon screen. If you’re a Windows Spotlight user – hold tight, you’ll see this change soon in a future build. We’re also working on some additional tweaks here to make the transition between the Lock screen and logging in much smoother. It is recommended to create a restore point before using the Windows 10 Login Background Changer tool. This way if you have any adverse affects, you will easily be able to do a system restore to undo it. The Windows 10 Login Background Changer tool used in this tutorial will no longer work starting with Windows 10 build 14279 and higher. 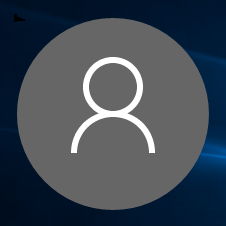 If you turn off Show lock screen background picture on the sign-in screen, the sign-in screen will only show a solid color background instead of the picture you select using the Windows 10 Login Background Changer tool below. 2. Download the latest release of the free Windows 10 Login Background Changer tool at the download link below. 3. Save the Win10BGChanger1.2.0.0.zip file to where you like. 4. Right click or press and hold on the Win10BGChanger1.2.0.0.zip file, and click/tap on Extract All. This is a standalone .exe file that does not install the program to your PC. 15. Sign in, and make any changes as needed. 16. When finished, you can close the Windows 10 Login Background Changer tool. As always great tutorial Brink, I actually tried the previous version of this program, I applied the new setting and locked the screen I was unable to re-log. I had to go through the whole system restored malarkey. Agreed. I wanted to have this tutorial sooner, but I didn't want to do it until the program was stable. Thanks once again did my own one and posted it in my desktop. Edit: This post is obsolete since the tutorial was updated. Program Version 1.2.0.0 crashes immediately if you have the Sign-in Screen Background Image disabled. The program seems to miss a function that ignores/overrides a non-existent Setting in the Registry. Last edited by Jo Mei; 30 Dec 2015 at 07:54. Reason: Tutorial updated. Luckily, I wouldn't think one would normally disable the sign-in screen background if one wanted to change it since disabling it would prevent it from changing. But I wanted to have a black Sign-in-Background, so I've played with Accent colors - no luck so far. Now I have a black JPG as background. Thanks Brink - this one works great! Last edited by Pendaws; 06 Nov 2015 at 08:48. Cannot change background image on Windows 10, and not because I don't know how. It simply is not working!